Joe and I have been a little quiet on the blogging front recently. Joe is going to do a full round up to explain what's been going on, but believe me when I say its just been a bit hectic! Sometimes life does just get in the way, but fear not, we have been doing some Olympic-type stuff in the background! I remember in the dim and distant past, Ewan Mitchell telling us about this fantastical idea he had to promote global food. It was a dream, a dream of discovering new tastes and flavours. A chance for us to expand our repertoire and challenge ourselves. We were all to cook food from the countries participating in the Olympics. All 204 of them. Even the ones you didn't know existed (yes, I'm looking at you Tuvalu). Fast forward a couple of months and here we are, 19 countries on our list, thankfully all of which I have heard of. Unfortunately none of which I have ever thought to use as food inspiration. Well I guess, that is the nature of the challenge. In the words of Kirsten Dunst, bring it on. Ah, remember the week when it was sunny? And we were able to get the barbecue out? Well that was the perfect inspiration for a little grilled prawn magic. These were juicy, chargrilled and pretty damn flavoursome. 1. Put everything but the prawns into a pestle and mortar and grind until paste-like. 2. Mix with the prawns and leave to stand for an hour or so. 3. Thread onto skewers and grill or barbecue. 4. Finish with a little squeeze of lime. Now, I'm not doing a recipe for this as it's ridiculously simple. I'm not even sure if this is a traditional recipe, but its a tribute to my lovely friend Sophie. Back when she was footloose and fancy free, Sophie took herself off to Africa for a gap year. She had tons of fun, great experiences, and loved the place so much she still harbours notions of moving back there to look after wild animals in the sun. There was one slight downside to her time there, which probably also stems from her love for animals. Sophie is a vegetarian (I know, horrendous), and where she was staying in Malawi wasn't exactly "vegetarian friendly", unless you count meat as a vegetable. 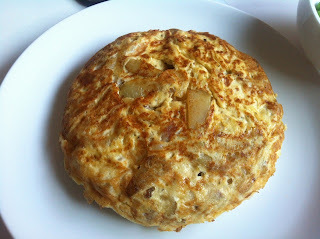 So she spent most of her year eating chip omelettes, and it is for her that I bring you the Malawian potato omelette. 5. shallow fry for 3-4 minutes on each side until golden. 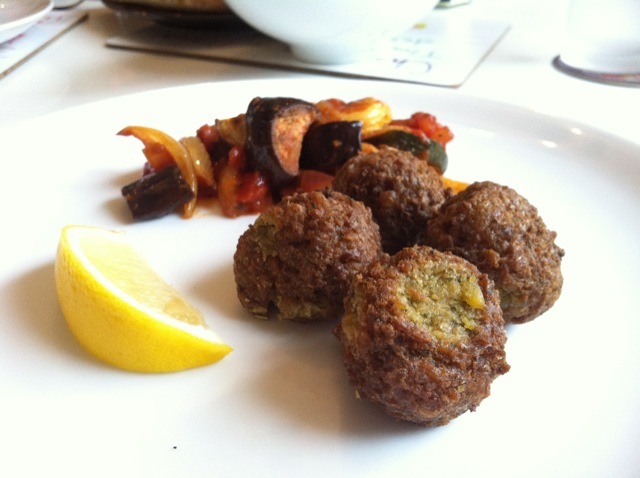 Serve with salad and pitta, or if you're a bit weird like me, some home made ratatouille!